When a debtor doesn’t pay a debt, a creditor may seek to take (or “repossess”) the debtor’s personal property to satisfy the debt. Repossessions are typically carried out by bailiffs. A creditor with a lien over a client’s car has threatened to repossess the car because the client missed a payment. A bailiff came with a warrant to repossess a client’s rented furniture because the client missed a payment. A sheriff came with a writ (a written court order) to take a client’s household goods because they have not paid on a court judgment that a creditor took against the client some months ago. Client asks what rights they have to refuse to let a “repo man” into the client’s residence or onto the client’s property. The rights of creditors and debtors in cases of repossession are the rough edge of debtor-creditor law. There is the potential for great upset to clients, and for one side or the other to use force. Those helping the debtor must act very quickly to resolve the problem. The civil law relationship between a creditor and debtor may be governed by criminal laws in these situations. Criminal law is distinct from civil law. Criminal law sets out the nature of offences, and is used for charging and trying people accused of a crime, and sentencing those found guilty. In civil law, the emphasis is not on punishing a person who has done wrong, but on fixing problems that their actions have caused so that the other party is compensated in some way, or at least does not suffer a loss. Some examples of civil law are debt law, personal injury, malpractice, and claims for breach of contract. Contractual repossessions: When there is default under a security agreement or lease agreement between a debtor and creditor. Judgment enforcement repossessions: When an unsecured creditor wants assets of the debtor seized and sold to satisfy a court judgment. It is important to distinguish between these two situations, because the rights and remedies of all the players (including the debtor, creditor, and party doing the repossessing) are different in each situation. Contractual repossessions: A bailiff carrying out a repossession under a security agreement or a lease agreement is repossessing on the basis of contractual rights governed by the Personal Property Security Act (see the section on Security Agreements) or related legislation such as the Repairers Lien Act (see the section on Repairers' Liens). Judgment enforcement repossessions: A court bailiff carrying out a seizure for a judgment creditor does so under a court order governed by the Court Order Enforcement Act and the Supreme Court Civil Rules (or the Small Claims Act and Small Claims Rules). As explained below, a debtor can deal with a repossession problem in various ways. Under British Columbia law, the roles of bailiff, court bailiff, and sheriff are different. In some instances, the legal principles governing the actions of these parties are the same; in other instances, the parties have different rights. Their roles also have historic meaning, particularly that of the sheriff. Basically, bailiffs, court bailiffs, and sheriffs carry out the directions of creditors, or the court orders creditors have obtained. Usually this means the bailiff, court bailiff, or sheriff can take chattels (a legal term that means personal, moveable possessions) from a debtor. In some instances, where a creditor has a security interest in the chattels of a debtor, an employee of the creditor could carry out the repossession directly. However, creditors usually prefer to hire bailiffs to do this for them. Under the Business Practices and Consumer Protection Act, Part 7, bailiffs are persons who act on behalf of another party (for example, a creditor) to carry out tasks such as repossessing chattels. Bailiffs must be licensed under the Act and must go through the same licensing processes as collection agents do. Bailiffs can be refused licences or have their licences suspended by Consumer Protection BC. In general, bailiffs carry out contractual repossessions — that is, repossessions on behalf of creditors who have a security interest over the goods of the debtor when the debtor defaults on payment on the security agreement. Section 114 prohibits bailiffs from exerting “undue, excessive or unreasonable pressure” on a debtor in repossessing chattels. Section 122 prohibits bailiffs from removing chattels from the home of a debtor in the debtor’s absence or when another adult is not in the home unless the bailiff has a specific court order saying they can do so. 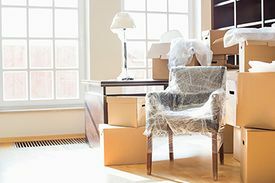 Bailiffs are prohibited from repossessing chattels that are not, for example, part of the security agreement under which the creditor is claiming the right of repossession. Sometimes it is a difficult legal issue to determine whether a security agreement covers a particular chattel. Some security agreements may cover a single item, such as a car. Other security agreements say that they cover not only all property that the debtor owns at the time the agreement is made, but also all property that the debtor acquires after the agreement is made. Bailiffs are in the business of repossessing. The law does not give bailiffs any special rights, and they must operate their business within the requirements of the Business Practices and Consumer Protection Act. The term court bailiff is relatively new to British Columbia. The designation arose from a government decision some years ago to privatize judgment enforcement processes. Prior to privatization, judgment enforcement processes (including seizing chattels on behalf of judgment creditors under writs of seizure and sale) were carried out by sheriffs. Now, most judgment enforcement processes are carried out by court bailiffs. The government contracts with some bailiff businesses to provide court bailiff services in each region of the province. Under section 3(2), a court bailiff “is deemed to be a sheriff” for a number of purposes, including almost all aspects of judgment enforcement. Court bailiffs cannot carry out orders for the arrest of debtors; this must still be done by sheriffs. Court bailiffs are not governed by the provisions of the Business Practices and Consumer Protection Act (see the Debt Collection Industry Regulation, section 2(1)). They are employees of the provincial government, appointed under the Sheriff Act (section 2). They are officers of the court according to section 6 of the Sheriff Act. While their significance in debtor-creditor matters has been reduced because the judgment enforcement process has been privatized, there are some instances when sheriffs may become involved. For example, sheriffs carry out arrest orders under civil proceedings (where the plaintiff — in this case, the creditor — seeks a remedy against the defendant — in this case, the debtor — and the defendant is unlikely to face imprisonment). They are not governed by the provisions of the Business Practices and Consumer Protection Act except when issuing a warrant under the Repairers Lien Act (see the Debt Collection Industry Regulation, section 2(1)). What right does either side have to use force? What legal alternatives are available to the debtor to avoid repossession? Determining the validity of the authority under which the repossession is being attempted (that is, the right to make the repossession) is important when considering the use of force. In most instances, the right to repossess is clear, particularly in judgment enforcement situations. take steps to repossess their security. In most instances, the breach will be clear. However, note that the client might claim that they and the creditor made a subsequent agreement that the creditor would not repossess. In this case, the creditor may have temporarily given up the right of repossession, so long as the debtor abides by the new agreement (for example, to make up missed payments by a certain date). A bailiff or court bailiff cannot forcibly enter the debtor’s residence if it is clear that the debtor is refusing entry. If the bailiff enters, the debtor can ask that person to leave. The act of pushing past or physical confrontation by the bailiff may be considered a civil assault, for which the debtor could seek damages. The debtor’s resistance must be reasonable in the circumstances. Resistance with a weapon, for example, would not likely be seen as reasonable. If entry is allowed, a bailiff or court bailiff is generally allowed to take authorized chattels. A bailiff or court bailiff can generally take the chattels of a debtor if the goods are outside a dwelling house (for example, a car in a driveway). A bailiff or court bailiff cannot usually use force to take something in the direct possession of the debtor (that the debtor is physically holding) that the debtor is refusing to release. If either party wrongly uses force, they may be liable for criminal charges. In R. v. Doucette, for example, three bailiffs were convicted of assault when a struggle developed as they were trying to repossess a television from the debtor’s apartment. For more on the extent of force allowed in a repossession, see the section on Tort Actions. See also the section on Recovery of Goods. Gather and confirm all information on the financial circumstances of the client, including income and expenses, assets and debts, and future prospects for changes in income. Obtain copies of all the relevant documents, including documents that relate to the creditor as well as the bailiff or court bailiff carrying out the repossession. In the case of repossessions by bailiffs, obtain the security or lease agreement. In the case of repossessions by a court bailiff, obtain copies of all court documents, including the judgment upon which the writ for seizure was based. filing a claim for exemption where a court bailiff has already made a seizure. Clients facing repossession come to advocates at different stages of the repossession process. This will often affect what advice is appropriate and which approach to use to solve the problem. Clients may come before repossession, telling you that they think the creditor will repossess, or that the creditor has threatened to repossess. Assure clients of their basic right not to have their residence entered forcibly. At the same time, stress the importance of taking the initiative to resolve the problem and avoid a repossession confrontation. If a client has the financial resources to make up the arrears payment(s), the first approach is usually to offer the creditor the arrears. If the client’s ability to pay is limited because of illness, job loss, or another valid cause, a variation on this approach might be to ask the creditor to take a lower monthly payment for a fixed period of time. The right to reinstate: The right to reinstate the contract (that is, go back to making regular monthly payments instead of paying the whole balance) if the client pays the arrears (section 62). The two-thirds rule: The right not to have the goods repossessed when at least two-thirds of the purchase price has been paid (section 58). In some instances, it may be to the advantage of the client to allow repossession, or even to offer to return the secured goods to the secured creditor (this is called “surrender” of the goods). Under the consumer goods provisions of the Personal Property Security Act, the debtor’s financial obligations to the creditor may be cancelled upon repossession. If the value of the goods to be repossessed is relatively low compared to the total amount owed to the creditor, the debtor may be able to have the entire debt discharged in exchange for giving up the goods. If a security agreement states that all current and after-acquired property of the debtor is covered by the agreement, there may be an argument (in fairly extreme situations) that the agreement is an unfair trade practice, or unconscionable (unscrupulous or unreasonable). See the section on Enforcing Judgments against Chattels. Aside from seeking a negotiated or court-imposed resolution to a repossession problem, you may wish to help clients complain to Consumer Protection BC. If a bailiff’s conduct seriously breaches a provision of the Business Practices and Consumer Protection Act, Consumer Protection BC may take action against the bailiff’s licence. The Act also provides for prosecuting breaches of the Personal Property Security Act. You may also wish to consider helping clients complain about the conduct of court bailiffs to the Ministry of Attorney General. In general, if a bailiff or a court bailiff has wrongfully taken property from a debtor, the debtor has a cause of action to have the property returned and a cause of action for general damages. See the section on Recovery of Goods. Determining if the property was wrongfully taken usually requires a lawyer’s opinion. If a bailiff uses excessive force in carrying out a repossession, the debtor may have a cause of action for civil assault. See the section on Tort Actions. Raising the possibility of legal action, or actually starting an action, can give the debtor a particularly effective bargaining advantage. For example, the debtor’s claim may be set-off against some or all of the creditor’s claim. See also the People's Law School page on when a creditor seeks to repossess property.